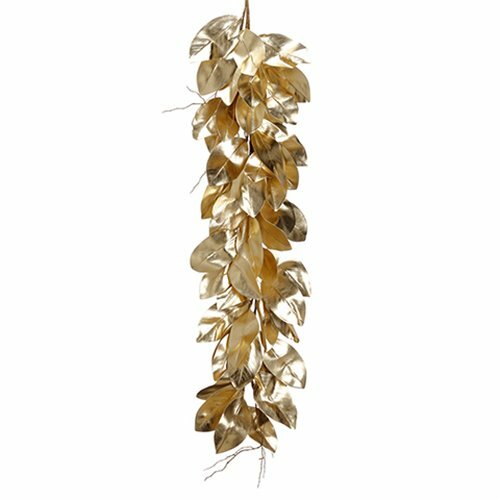 Stunningly beautiful, this 4'6" magnolia leaf artificial garland will never need a drop of water or pruning. Deck your home with our gorgeous, handcrafted garland. Easy to store and reusable, as it never wilts, and is crafted to last for years! Perfect to decorate for Christmas, across the top of a mantel, buffet or entryway console to create a timeless holiday theme! This authentic styled artificial Christmas garland is sure to please and just one of our many artificial holiday garlands online. And... You'll get to cherish it for a lifetime!